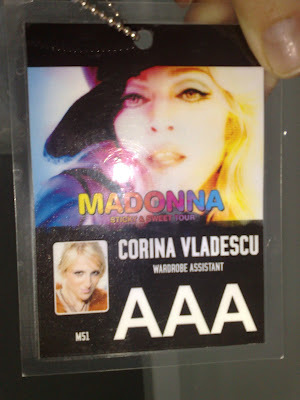 It is such a bad news for everyone who asked me to post everything about this experience that I am not going to be able to do that (writing nor photos), owing to the contract of confidentiality I have signed with Madonna's management. Though I would have loved to share all with you I cannot blame them for the strict clauses in the contract because I was the only romanian assistant in their team and had full access to all areas - dressing rooms, wardrobe, restaurant and stage. I mingled, lunched and dinned with her staff, her band, her dancers, her daughters Lourdes & Mercy James. 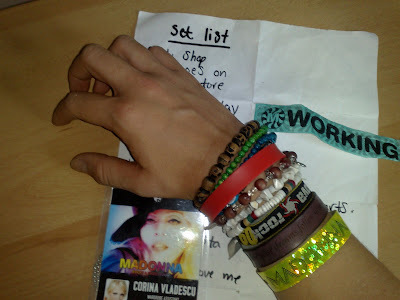 Seeing Madonna and the show from backstage was so impressive...and please do not listen to people who say she did playback it is just mean empty comments that frustrated no-life people like to make. M. rehearsed all the concert before (2h- she always does that) and then got onstage and performed LIVE while dancing for another 2 hours. I was stunned by her strenght. Her dancers are so cool and laidback and we got along wonders. I am so sorry I cannot say more and in details but I hope you understand and agree with my decision. Anyway, if it was needed to say more- I was blown away! You're too cool for school!! ! ! ! ! F E L I C I T A R I ! ! ! ! Ma bucur tare mult ca ai trait experienta asta. 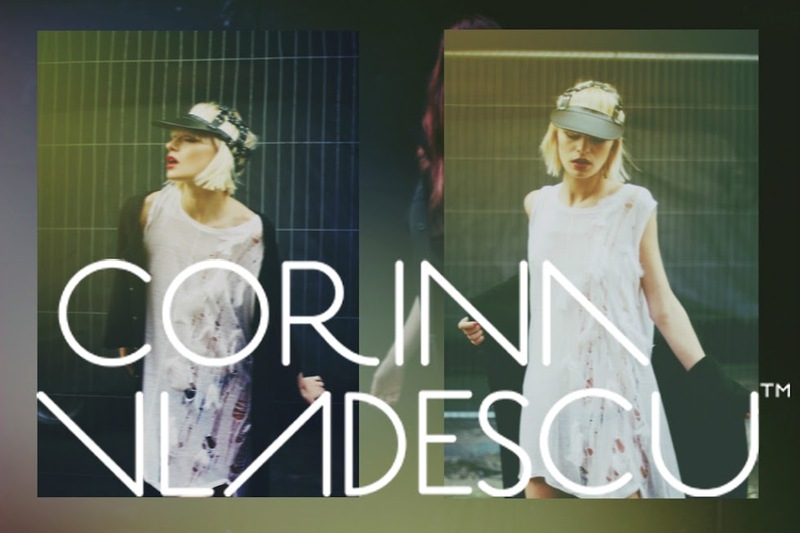 The items from Corina Vladescu's collections can be ordered at corina@corinavladescu.com.